While all of these heads from the 2.5’s right up to the X-51’s are great performers right out of the box, we have found areas that benefit from some special attention. 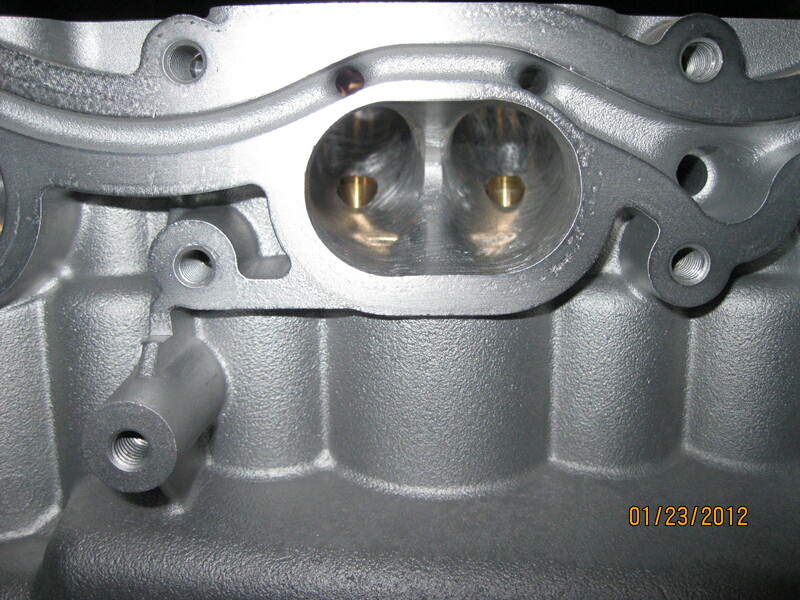 The most basic improvements are found with the valve seat profiles. 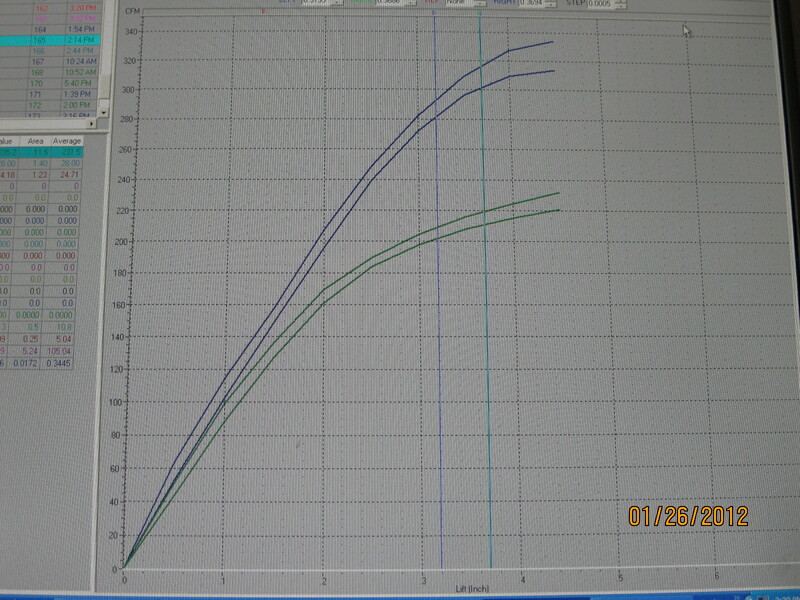 We have done a great deal of testing with these heads to determine the optimum seat profiles. 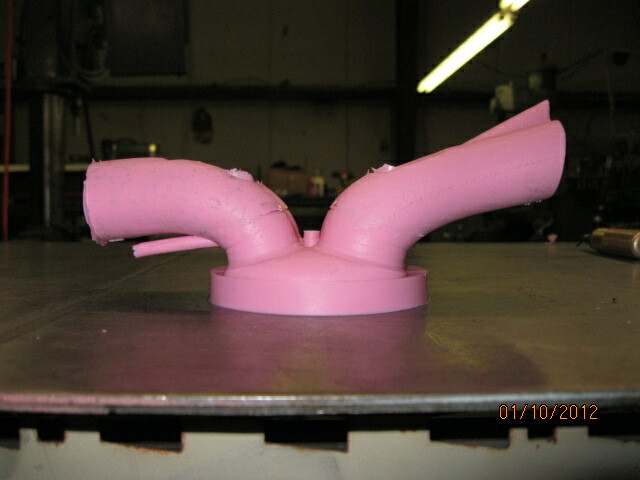 We use Serdi profiles and in a couple of specific applications we use a custom Serdi cutter we designed. 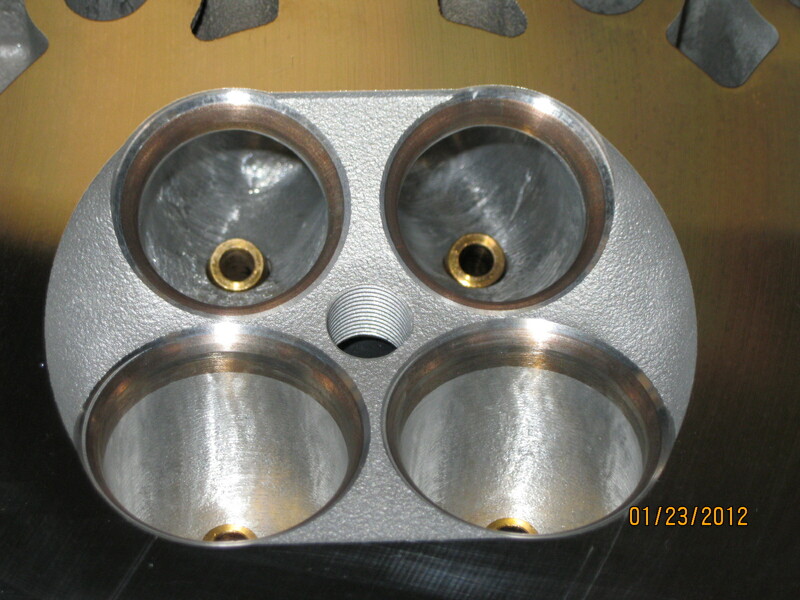 It’s true that these heads are very well engineered overall, but the fact remains that the factory production seat cutting and bowl blending procedures are pretty basic. From there the modification possibilities are quite extensive. 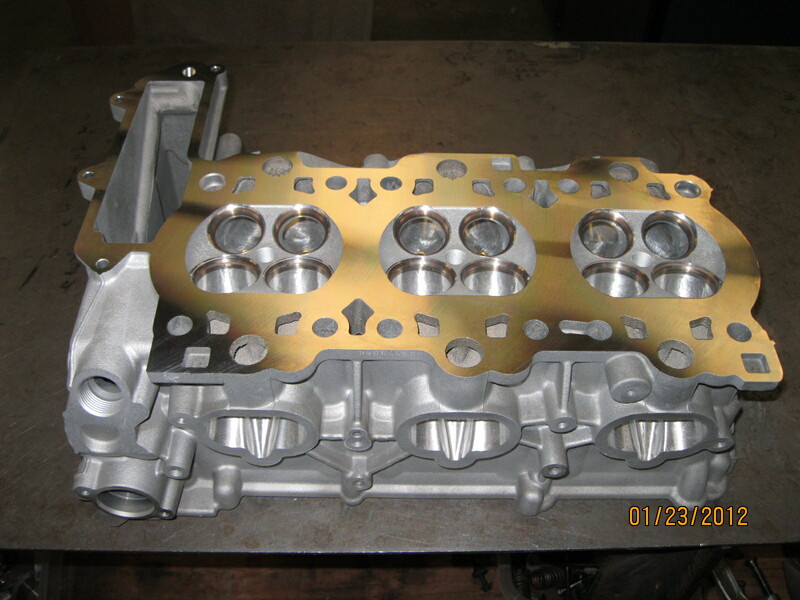 But while we can offer some pretty wild upgrades we have found that very significant gains can be made with some simple, but strategic modifications to the ports in the areas directly beneath the valve seats. These improvements combined with our super precise seat work offer real performance gains for a very reasonable cost. Of course these simple improvements don’t fit the bill for some applications, like serious street/track cars and racers in classes that allow extensive modifications. 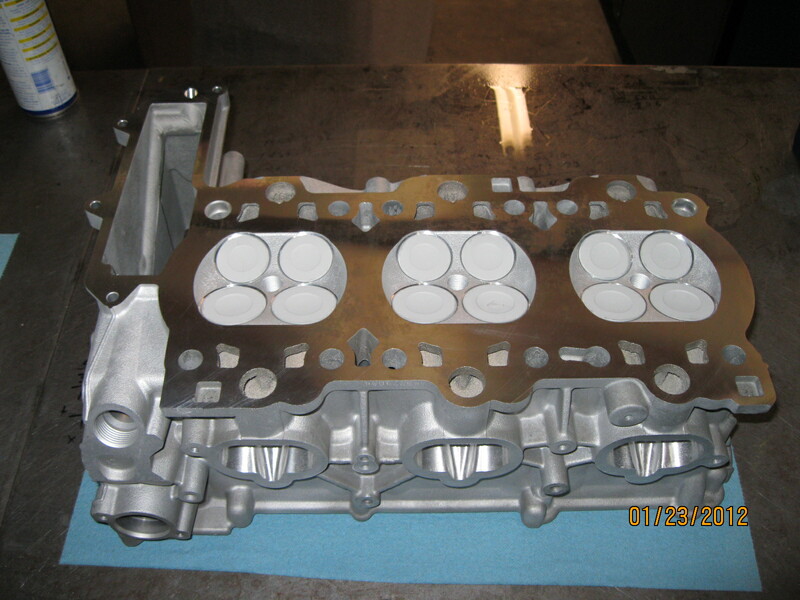 On this page are photos along with before & after flow curves of a pair of M97 3.4 Cayman heads for a N.A.S.A. racer who decided to kick it up several notches. 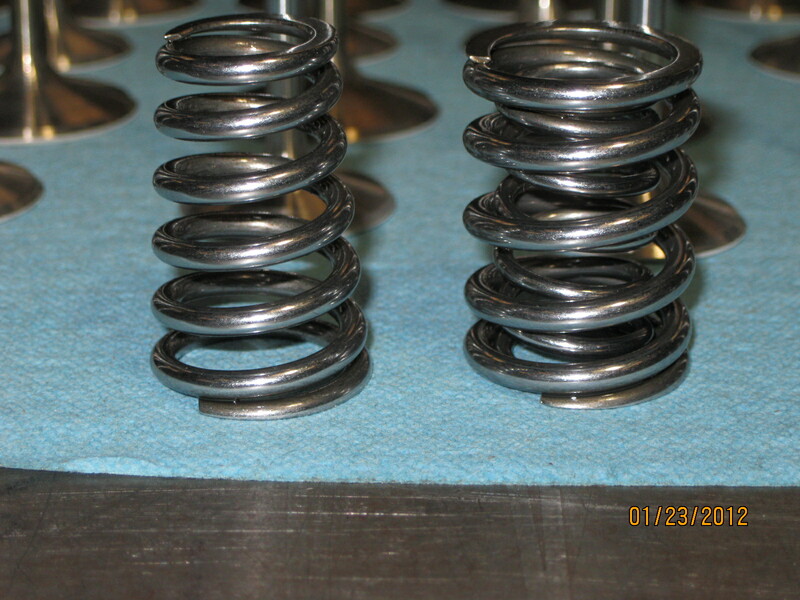 Because the aftermarket has not yet kicked in to produce upgraded spring packages for these heads when extreme use is planned we start with new O.E. 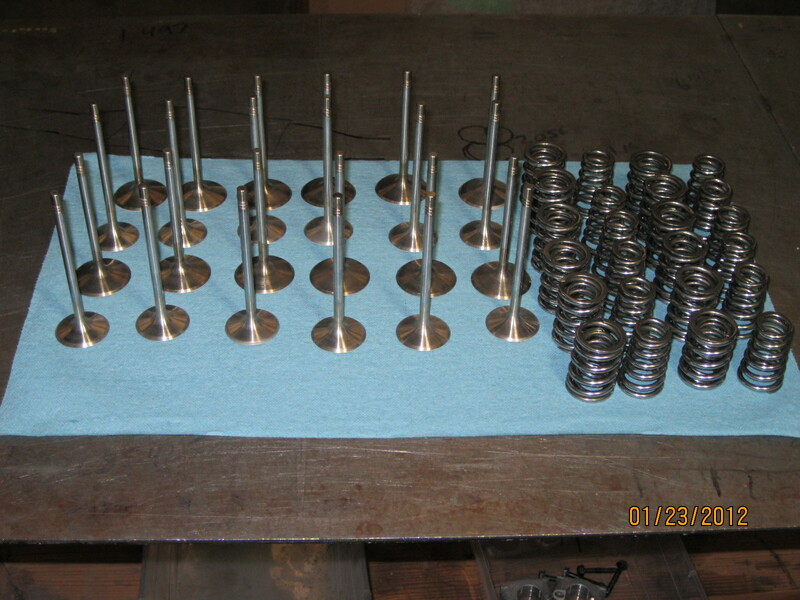 Porsche springs and have them Cryo’d and REM super-finished . Here are the before and after flow data. 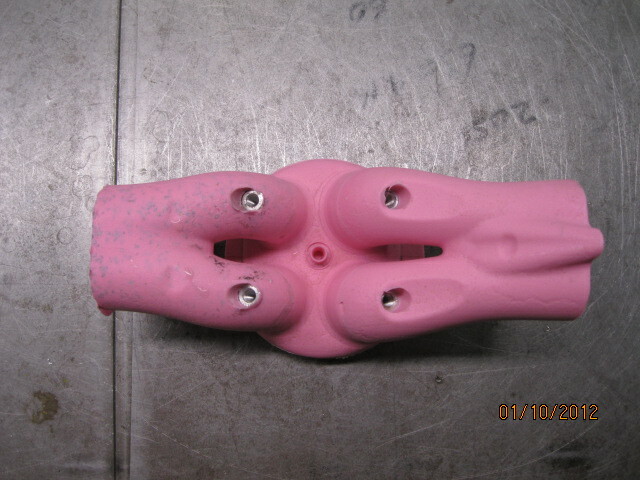 Also included are photos of the silicon casting process we use for 3-D views of ports and chambers. 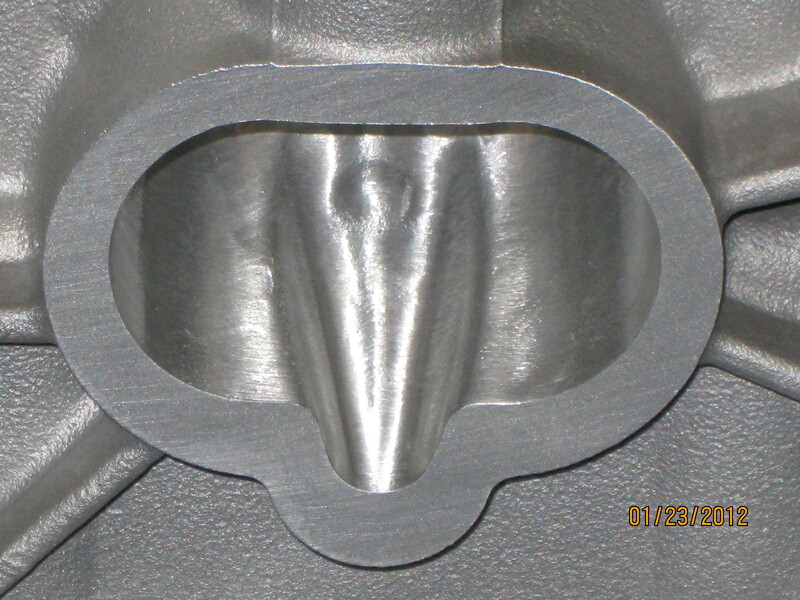 3.4 M97 chamber, intake & exhaust ports. Cryo'd and Isotropic Super Finished for longer life and durability. Exhaust on left.